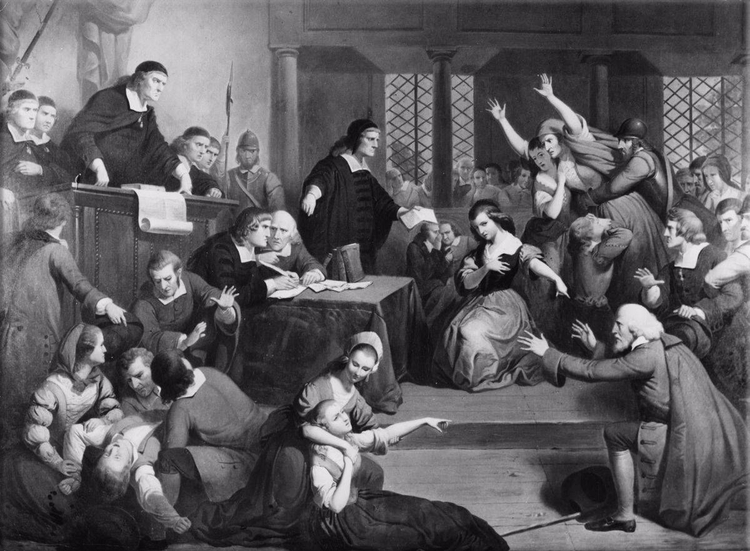 Between June and September 1692, 20 individuals (14 of them women) were tried and executed for witchcraft in Salem, Massachusetts and surrounding communities. Nineteen were hanged. The other person was killed by "pressing" - being covered by heavy stones. He took 2 days to die. No none was burned at the stake. An additional 5 died in prison including 2 infants. The last trial was held in May 1693. Those five individuals were found not guilty but were not released until they paid their "jail fees". In November 2001, the Massachusetts legislature passed an act exonerating all of those convicted and listed them by name.